Yesterday, for the first time in a couple months, we got a look at four new stills from the upcoming remake of A Nightmare on Elm Street. While the shots were pretty cool, we lamented the fact that will have yet to have a really great look at Jackie Earle Haley-version of Freddy Krueger. Turns out that we may be seeing him soon enough. MySpace has debuted the newest poster for the film and announced that the second trailer will debut this Thursday, February 25th. 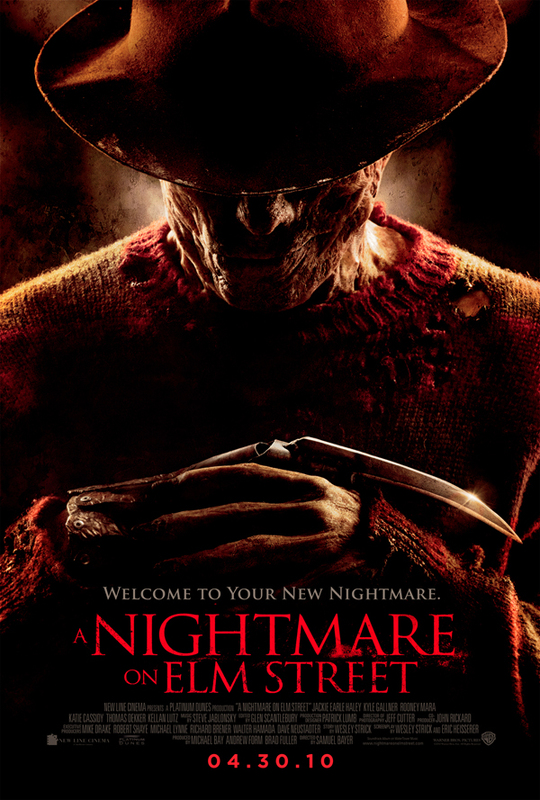 In addition to giving us at least half of Freddy's new face (more than can be said about the teaser poster), the newest artwork also delivers the film's tagline, borrowing a bit from Alice Cooper in the process. Check out the poster below or in full resolution over at Bloody Disgusting.